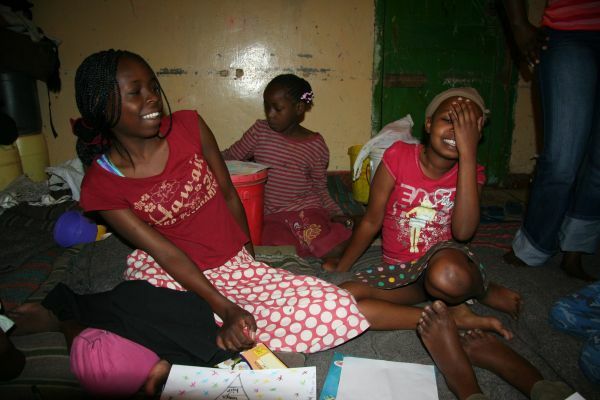 For the past two and half years I have been working with a children’s home in the Kayole slum of Nairobi, Kenya. I founded R.E.A.D. (Resources for Education Advancement and Development) an organization that buys textbooks for children’s homes around Nairobi and provides scholarships to students for university. Being that the organization is new, the number of students we have in university is very few and until this winter all of them were male. The main home we work with has a much larger ratio of boys to girls and until this year, there weren’t any girls who had the scores to qualify for a degree course. We started our Girls LitClub meetings with grades five through seven. The girls were beyond excited to read, write, and communicate; they had never had an opportunity before that the boys hadn’t gotten. Of course they were thrilled to have a club of their very own. My favorite meeting was when we read the story Chrysanthemum. After reading we talked about what makes us different. For the first time I saw the girls really open up. “My nose is big.” “I’m a Masai.” “I’m missing my front tooth.” “I have two sisters and a brother.” “I can sing.” Their responses were so pure and unique it was a pleasure to see them break out of their shells by embracing the very qualities that make them the special people who they are. I handed out journals to the girls to use for LitClub purposes and for their own independent creative writing. I encouraged them to write their own stories, create fictional tales, and try their hand at poetry. The stories that they shared were so fresh and real it broke my heart to read what they had been through but it also warmed me to see their strength and progress. Why I am in school? has a person who can take care of him. roots, sleeping in dirty places, I usually feel pity for them, but I have no choice but to only leave them there. Children usually suffer and that's why I learn in school, to help them. flew with the high we passed across rivers and mountains. far more high. Then we came to a tree with a beautiful. The bird was very tired and sat on a branch to rest. to bring fruits. As I was sitting snake appeared and then I woke up. 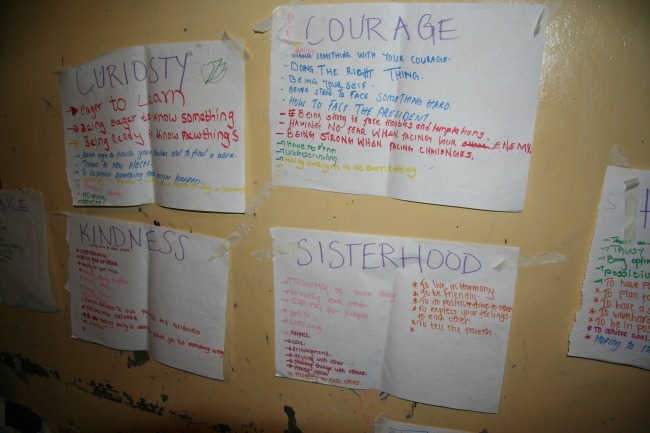 Unfortunately I was not able to stay in Kenya for the full course of the Girls LitClub. To take my place I trained a young lady named Teresa. 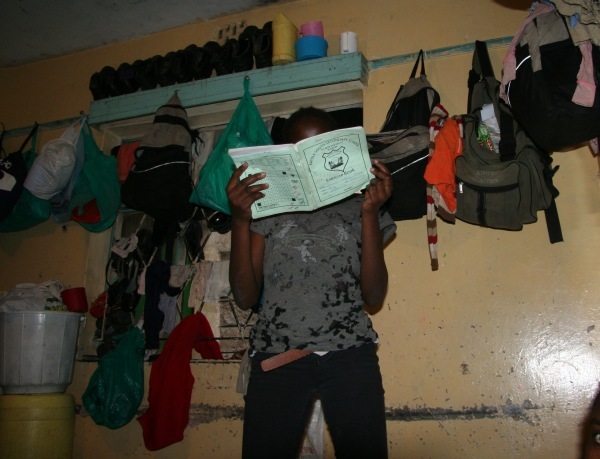 Teresa is the first girl from the home to obtain the scores needed to enter university for a degree. This spring Teresa will be setting an example for all the girls in the home as a R.E.A.D. scholarship recipient attending University of Nairobi. She emailed this week, “To be sincere, the reading club has developed the girls confidence and they are also working hard in school.” I am excited to see the long term effects of Girls LitClub in their exam scores and overall confidence. I look forward to having many more women attend university and spreading the Girls LitClub to new homes around Nairobi on my next visits. Thank you to Kayli Stollak for all the positive work you do on behalf of women, and for submitting this beautiful post.